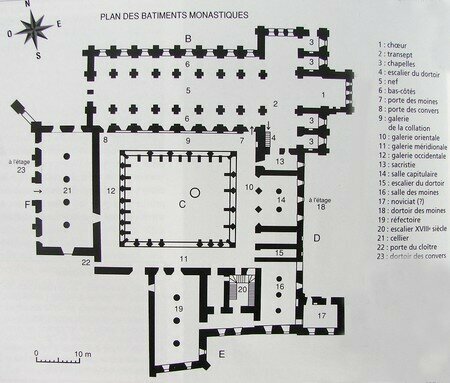 Before the appearance of the cistercians, quite even the arrival of the Romans, the area saw the man of Heidelberg (related with the family of the homo erectus). The many prospections in the river Cher gave place to discovered very old industries, of which there remain to us tools, cut in the rollers. The Abbey of Noirlac was called the Abbey "House of God" (Momus dei). 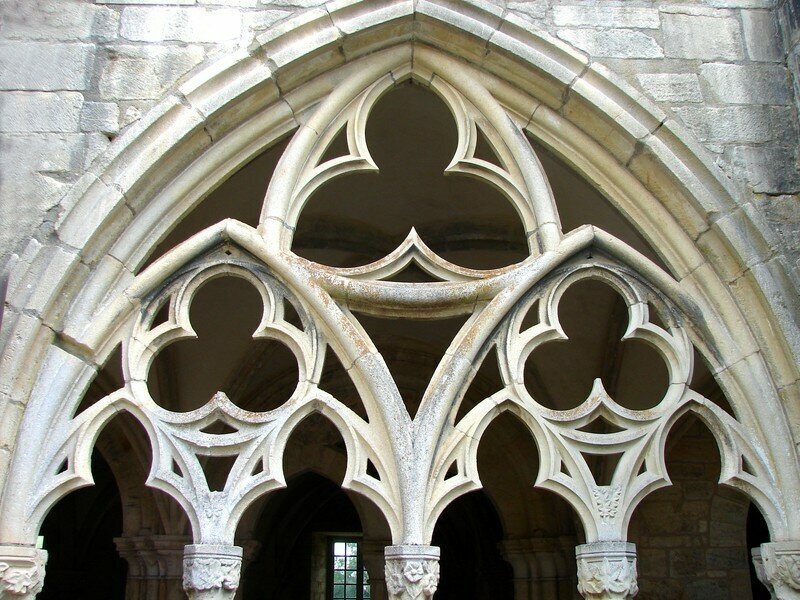 It is located in the north of Saint-Amand Montrond, on right bank of the river Cher, in the commune of Bruère-Allichamps: geometrical center of France according to calculations' of the French geographer Adolphe-Laurent Joanne. He was found there a boundary-stone dating from the reign of Alexandre Sévère (180-235). It is the only boundary-stone which attests of a trivium (crossroads of three roads). It had been dug out of sarcophagus. House of God? 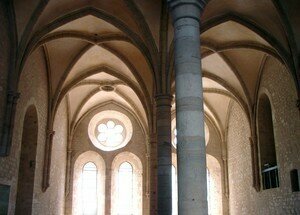 The site had this denomination until 1276. It would be necessary to see there one of these many house-God, modest charitable foundations for the poor travellers, or of a small hermitage, witness of the spiritualism of this time. 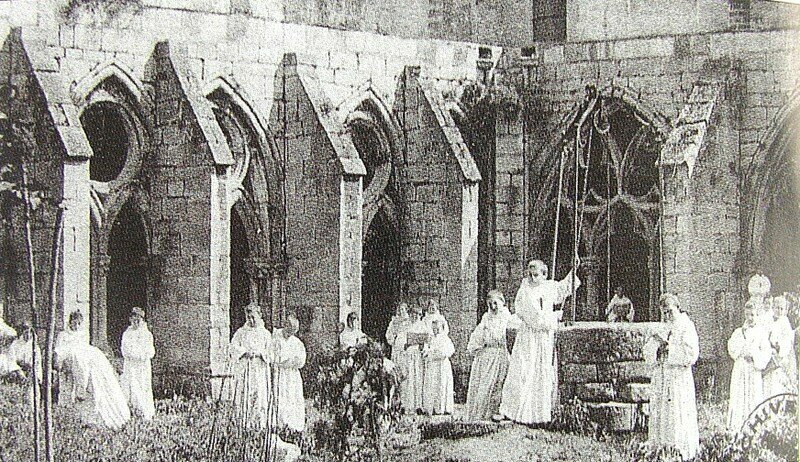 A many cistercians communities accepted the hospitality of hermits, when they were not called to take again the hermitages. 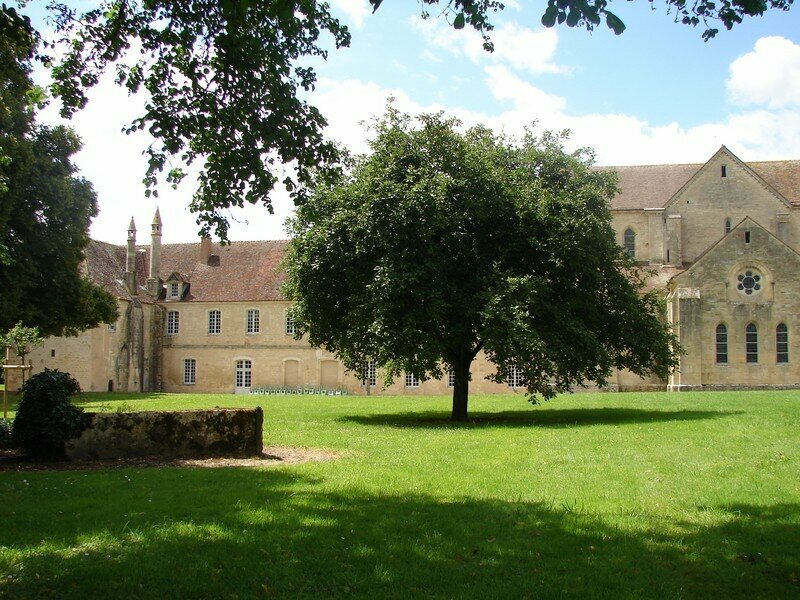 It is in 1136, in this wild and uncultivated site, at the bottom of a marshy valley, in accordance with the tradition, that 12 monks resulting from Clairvaux settled. 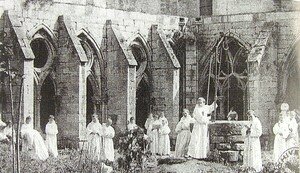 They were under the control of their abbot, Robert de Châtillon, nearest relative of Bernard de Clairvaux: “Plant where water runs, it is that abounds the grace there” said Saint Bernard… which was even obliged to intervene in 1149 near the king so that the small community, stripped of all, can survive. A donation took place in the following year. 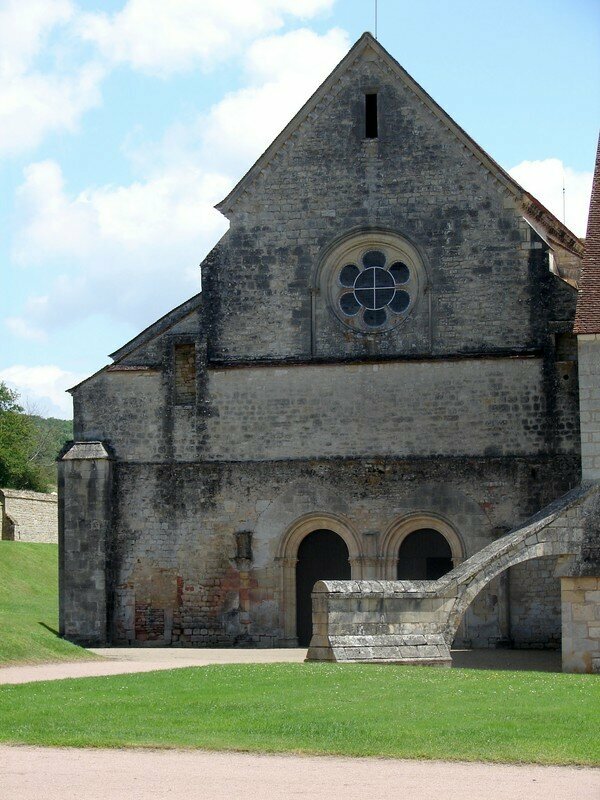 It marked the material foundation of the abbey. The lord of the place, Ebb V of Charenton, ensured the means to them of surviving and granted to the monks, who lived hitherto of gathering and alms, in 1150 their first charter of establishment. 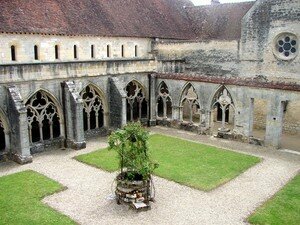 He gave up any seigniorial rights in this place, to build an abbey in the honor of Notre-Dame. 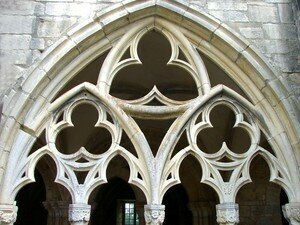 The abbey is a place three times over closed (triple enclosure of druids?) : the first fence is ensured by topography even, the river bank on a side, the slope of the hill of the other, ahead and behind bulky woods. The second fence contains what one calls the farmyard. It is there that the visitors are received and that are gathered the utility buildings. 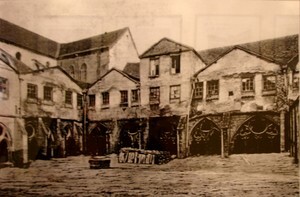 It was initially of piles and spines, before becoming stone wall. 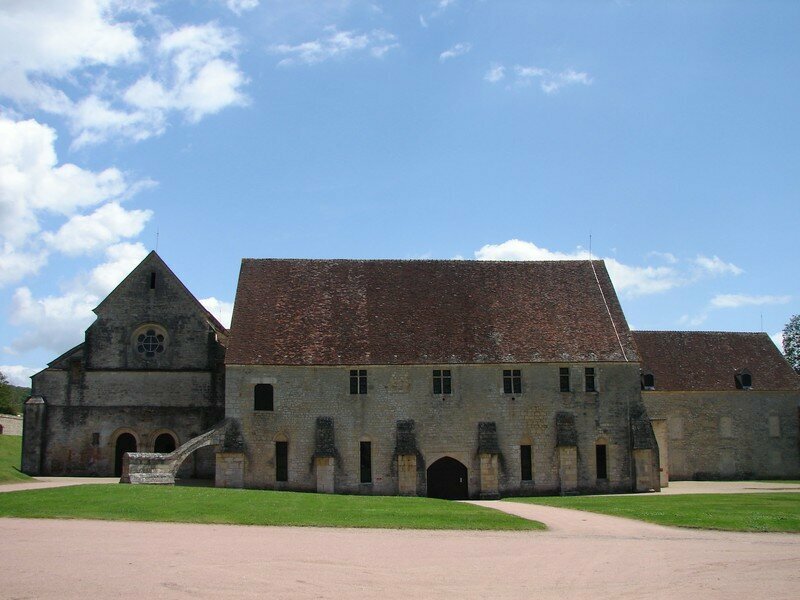 With the East of the court rise the conventual buildings, whose quadrilateral forms the third enclosure. 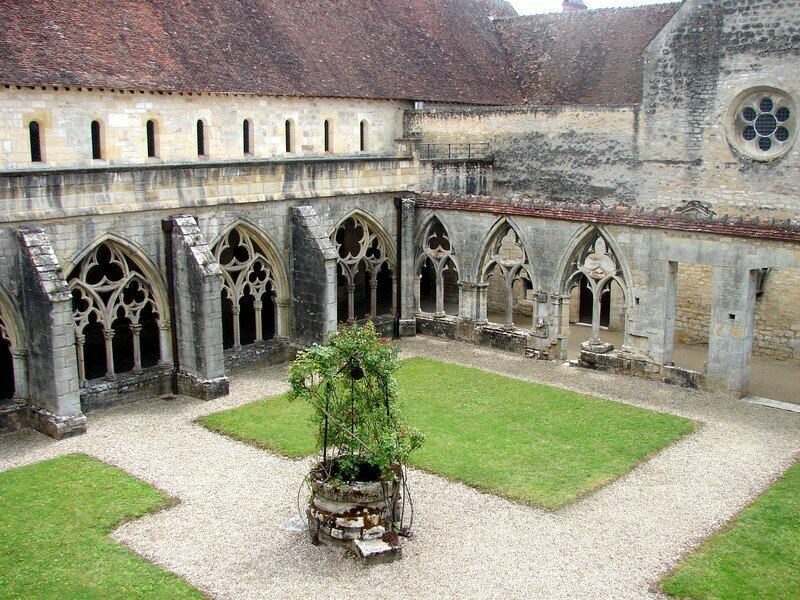 In 1423, the monks accepted the authorization to strengthen the abbey, after the episode of the occupation of the places by the roughneck soldiers of the English captain Robert Knolles between 1359 and 1360. 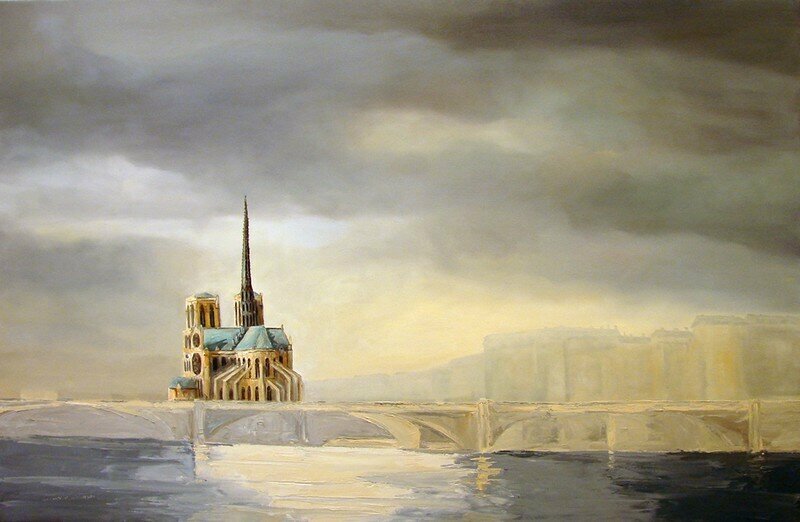 They raised a keep, whose access was defended by a drawbridge placed on a ditch full of water which ran all along the frontage of the church. 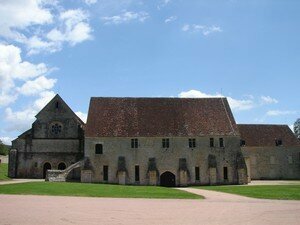 In 1650, the buildings are seriously damaged in the adverse combat in favour of Prince de Condé and royal troops. 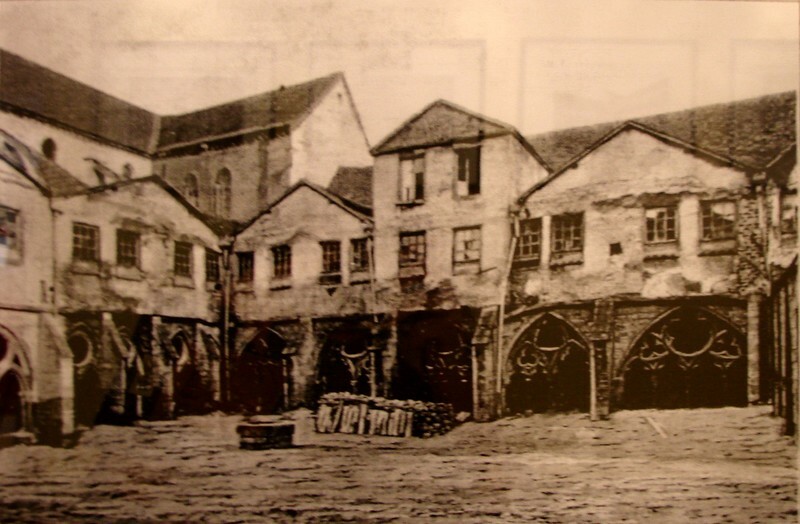 In 1724, work of rebuilding is undertaken. 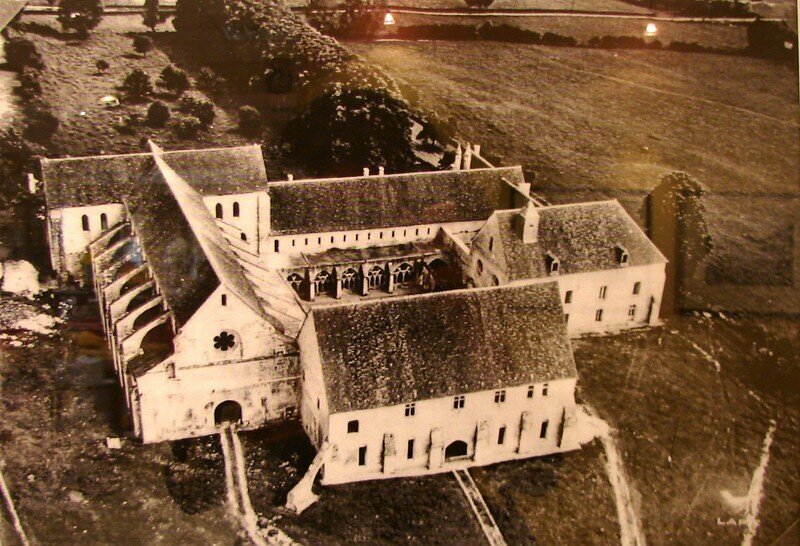 Finished in 1730, after the obligation to sell wood, they completely transform the wing of the monks which resembles now a traditional frontage of castle. The remainders of fortifications are shaved. 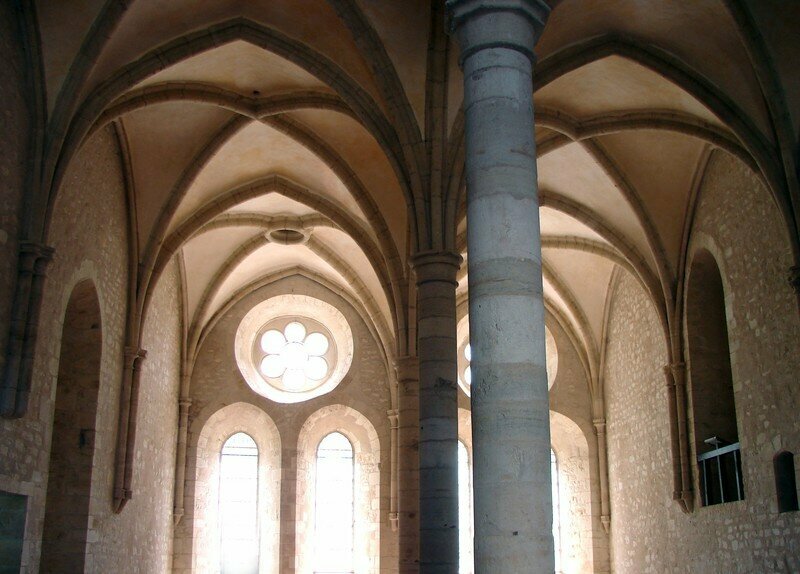 In 1894, the abbot Jules Pailler, cleaned of Saint Amand, buy the all building. To install its orphanage, he undertake a first repairing. Then in 1909, after its acquisition by the department of Cher, Noirlac is used as vacation camp to the first small singers with the wood cross. 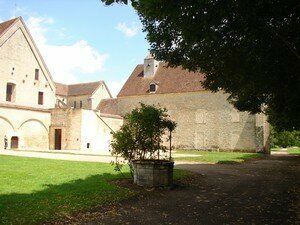 In 1950, restoration under the control of the architects Ranjard and Lebouteux which will end in 1980.